Pick ´n Mix is a very popular way of buying Sweets and Snacks, as you can decide the Mix yourself from taste and mood. Sweden has the highest consumption per capita of Pick ´n Mix Candy in the world. 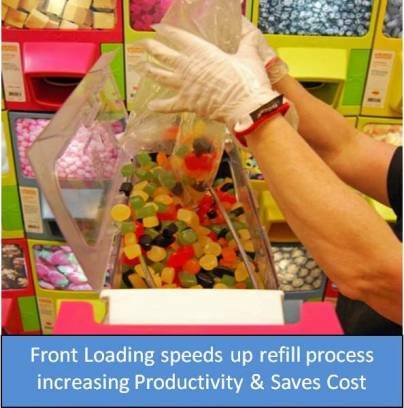 Maybe it is not so strange that Sweden is where the Mixmo Pick ´n Mix Concept was born through a vision that there should be a more fun, hygienic and effective way for Pick ´n Mix Candy still allowing for the great benefits but also addressing the flaws in the traditional open bin distribution. Did anyone taste this particular piece before me? Did anyone infectious sneeze close to the bins? What else, beside the candy, resides in this bin? 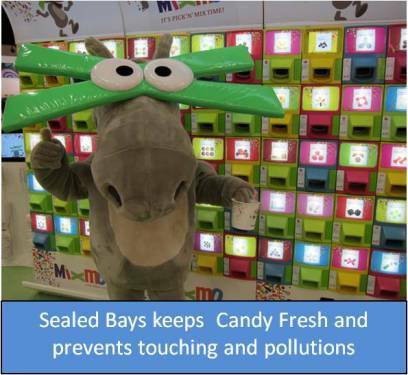 The patented Mixmo Pick ´n Mix concept secures that the candy is untouched and fresh. It is fun to select the candy from the colorful bins and see your selections drop into you cup. And Kids love it. 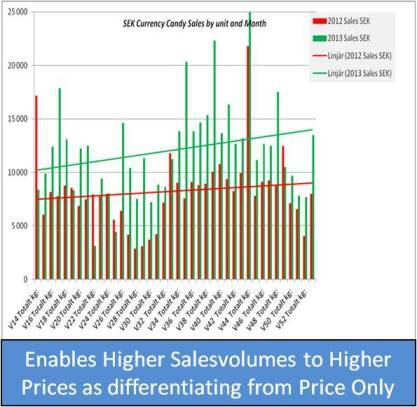 We have seen that some people avoid traditional Pick ´n Mix products due to hygiene factors but happily buys through the Mixmo system, as such extending the product audience significantly. 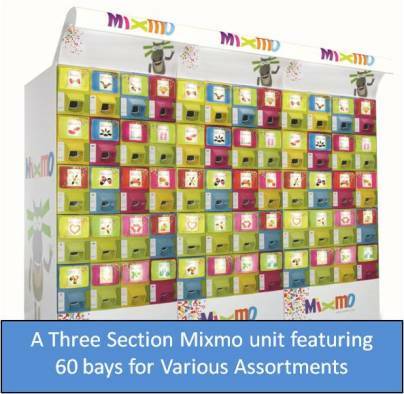 We are proud to present the Unique Mixmo Pick ´n Mix Concept to a Worldwide audience.